File image of filmmaker Aribam Shyam Sharma. Legendary filmmaker Aribam Shyam Sharma has decided to return the Padma Shri award bestowed on him in 2006, to protest against the contentious Citizenship (Amendment) Bill, 2016. The renowned filmmaker from Manipur announced his decision on Sunday even as civil society organisations in Manipur vowed to intensify protests against the controversial bill. “The Bill is against the interest of the people of North-East and the indigenous people of Manipur. Several people here (Manipur) have opposed the Bill, but it seems they (the Central government) are determined to pass it,” Sharma told reporters. The bill, which seeks to grant citizenship to minority people from Bangladesh, Pakistan and Afghanistan such as Hindus, Christians, Jains, Buddhists, Parsis and Sikhs, was passed in the Lok Sabha on January 8. 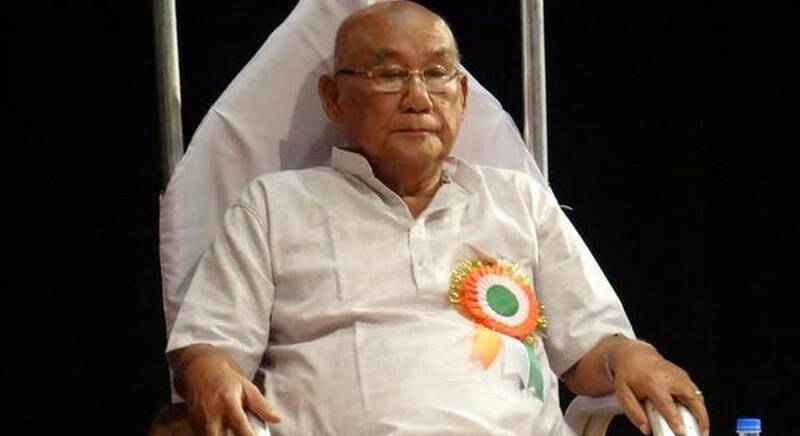 The 83-year-old filmmaker and music composer, whose films had bagged several national film awards, had a major role in revolutionising the cinema of Manipur during the ‘70s. In his more than 40-year journey across the cinematic map, the ace filmmaker has made 14 thought-provoking feature films and 31 non feature films that depict the dynamics of Manipuri culture and its way of life. When Manipuri cinema was struggling to get its identity as a distinctive art form, Aribam Syam Sharma brought the Manipuri cinema on the International map through his epoch-making films like “Imagi Ningthem” ( My Son, My Precious, 1981), “Ishanou”,“Sangai –The Dancing Deer” , “Lamja Parshuram” and “Olangthagee Wangmadasoo” (Even Beyond the Summer Horizon).